Field Schools take you to places all around the world! Students who are part of the Wilson School of Design have access to a variety of field school options each calendar year. This amazing opportunity, through KPU International, gives you the chance of travelling with a group of fellow students to another country to study in depth within a condensed format. We believe in the power of experiential learning and global experiences. When you're in a Field School, you study outside of the traditional classroom setting with a group of students from a variety of disciplines. Beyond academic training, it's also a chance for you to receive experience within another culture. Each year, the Wilson School of Design also offers a design-specific Field School which incorporates art, architecture, interiors, fashion, interior design, and cultural studies. Field School locations change from year to year so you can choose based on your own learning outcomes. 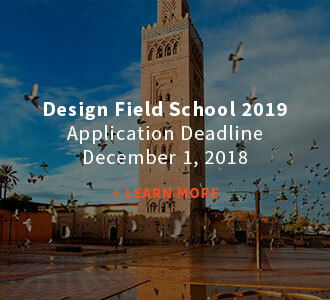 See the link below for the upcoming 2019 Design Field School. Field Schools? All around the world? Sound exciting? Find out more about our field schools.